For almost 70 years, South Texas was entertained by one of it's most beloved native sons. When Adolph Hofner wheeled his bus into town for a dance, audiences could be guaranteed a great show. 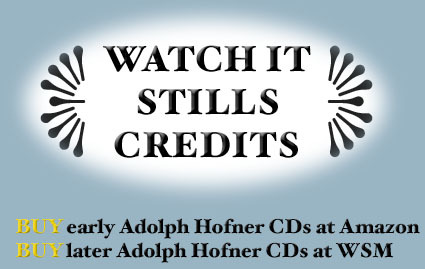 From energetic dance tunes to tender love ballads, Adolph's wide repertoire was cut from the same cloth as Gene Autry, Bob Wills and Spade Cooley. Adolph was a natural star. 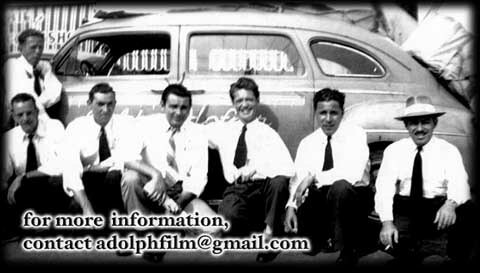 Throughout his career, Adolph had many chances to take that stardom beyond South Texas to the national stage. But every time fame presented itself, Adolph shrugged it off with the same ease with which he charmed his crowds. Adolph's musical life was rich and varied. 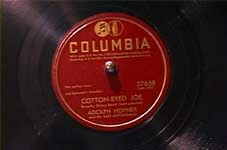 Early success came when he recorded an obscure folk song, creating an instant classic in Cotton Eyed Joe. Later, during World War II, his easily misheard name became a liability when he ventured to Hollywood. But, returning both to Texas and his ancestral roots, he found a level of commercial and artistic success he was satisfied with. And the crowds loved it. 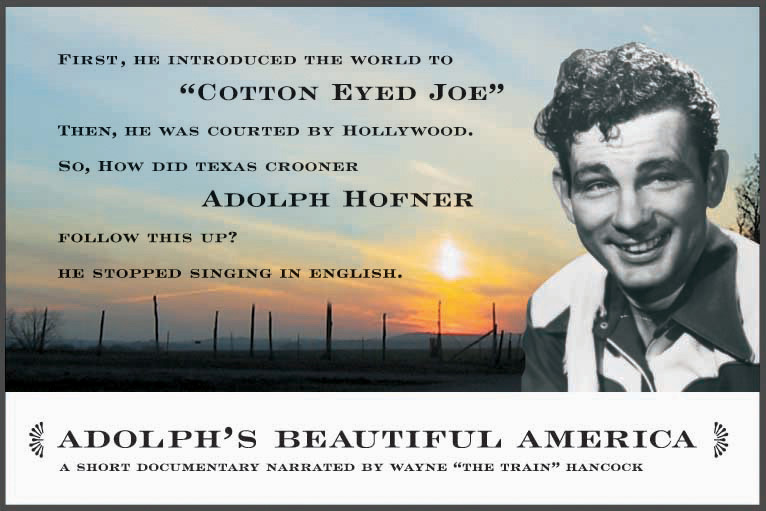 With rare interviews and visual flair, Adolph's Beautiful America reveals the unlikely story of a humble Texas western swing pioneer. Click here for Hi-Res Press Kit Images.